350% More Concentrated Than Steak! 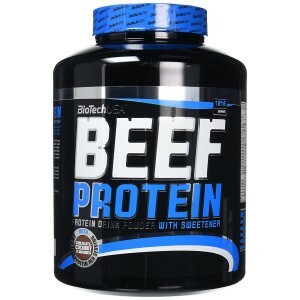 Using new advanced extraction, clarification, hydrolysis and isolation technologies CARNIVOR's Bioengineered Beef Protein Isolate delivers the muscle building power of beef with higher amino acid levels. 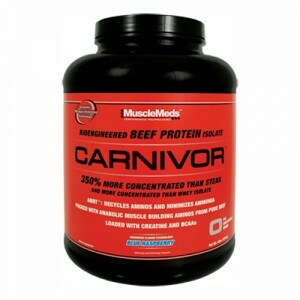 CARNIVOR Beef Protein Isolate is 350% more concentrated in anabolic muscle building aminos than a prime sirloin steak! And it has no fat or cholesterol! Carnivor helps to recycle aminos back into the anabolic muscle building pathways for increased nitrogen retention and improved muscle growth and performance. 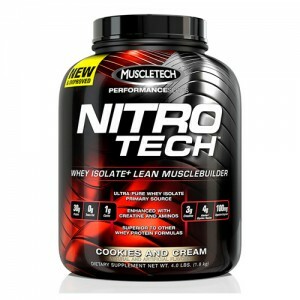 CARNIVOR-BPITM [Hydrolyzed Beef Protein Isolate, Creatine Monohydrate, BCAAs (Leucine, L-Valine, L-Isoleucine), Anabolic Nitrogen Retention TechnologyTM Intermediates: GKG (Glutamine-Alpha-Ketoglutarate), OKG (Ornithine-Alpha-Ketoglutarate), AKG (Alpha-Ketoglutarate), KIC (Alpha-Ketoisocaproate)], Hydrolyzed Gelatin, Maltodextrin, Lecithin, Citric Acid, Natural And Artificial Flavor, Acesulfame Potassium, Blue #1 And Sucralose.